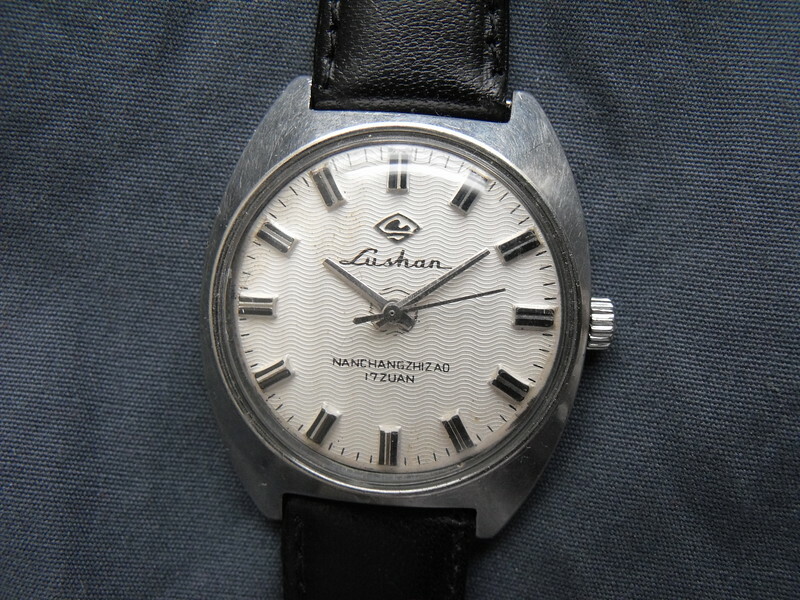 Lushan watches, like many other brands, were sometimes made with textured dials, and this is an attractive example. The ZNCA marking on the movement is an older designation Nanchang Watch Factory used on its tongji movements. The date code, NC 79, suggests that it was manufactured in 1979. The Guangzhou crown is a replacement.